From Stockholm to Bergen, enjoy the breathtaking scenery on this 15-day journey. Every day on this remarkable journey tells a new and compelling story. Expand your horizons on state-of-the-art ships, thoughtfully created by experienced nautical architects to enrich your cruising experience. Sheer mountains, crystal-clear lakes. Deep valleys and blue-green fjords. Experience Norway's dramatic landscape at its scene stealing best. Enjoy an exciting choice of performances, demonstrations and talks that add even greater insight to your journey and the places you visit. Breathtaking scenery. Exciting Viking history. Enticing Scandinavian cuisine. World famous wonders. Voyage from the cobalt waters of Stockholm to imperial St. Petersburg on an unforgettable journey. We pick you up from the airport and take you to your ship. Spend the next day exploring Stockholm's wonders. Admire the beautiful bays of the 'White City of the North', the Uspenski Cathedral and the Temppeliaukio Church. Enjoy two days discovering St. Isaac's Cathedral, the Hermitage and the Peter and Paul Fortress. The UNESCO-listed Old Town offers plenty to admire, including the oldest Gothic town hall in northern Europe. Treat yourself to a massage in the stylish spa, or relax by one of the swimming pools , or on your private veranda. Visit the baroque Oliwa Cathedral, and Solidarity Square and maybe enjoy a glass of Goldwasser in the Old Town. Drive to Berlin and then enjoy a panoramic tour of Copenhagen, the pretty harbourside city. Enjoy the included walking tour of this Danish town - from the 17th century Jens Bang's House to the pretty Budolfi Cathedral. Step of your ship and you're in the heart of this picture-perfect town, one of Norway's most loved destinations. Experience Norway's dramatic landscape at its scene stealing best on your included tour of this beautiful region. Seven hills and seven fjords surround Bergen, home of legendary Viking sagas. Take in the highlights of Stockholm, one of the world's most beautiful cities, stunningly set on the Baltic Sea. Take in the best City of Helsinki, the 'White City of the North', boasting neoclassical beauty and Art Nouveau grace. Get familiar with this magnificent city in just hours, from palaces to cathedrals, with photo stops along the way. Get to know one of the finest medieval Old Towns of Northern Europe on a two-mile walking tour with a local guide. Explore this remarkably restored Polish city and learn about its rich history on this enlightening excursion. Uncover 850 years of remarkable history during this tour of one of the Baltic’s most prominent cities. This tour is perfect to sample a selection of Denmark's finest beer and learning about this picturesque town. Get well acquainted with Stavanger and its beautifully preserved Old Town on this tour. Enjoy a sweeping view of one of Norway’s most beautiful regions, Hardangervidda, the country's biggest national park. 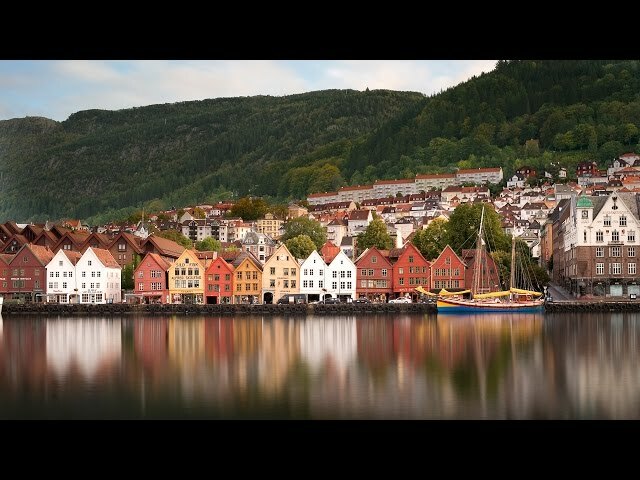 Hear amazing stories from your guide about Bergen’s colorful past as you tour through the streets of Norway’s second city. Experience the Hermitage, one of the world’s greatest art museums, with an extraordinary collection of masterworks. Travel one of Norway’s most stunning fjords to a breathtaking natural wonder: Preikestolen, or Pulpit Rock. Feast at our authentic Italian steakhouse Manfredi's or sample regional cuisine at the Chef's Table every night. Relax onboard in a range of inspiring spaces, from the stylish Wintergarden to the elegant Explorer lounge. Enjoy complimentary access to our state of the art Nordic spa and relax your mind, body and soul in Viking comfort. Effortlessly stylish, minimalist Scandinavian design adorns every part of the ship without compromising comfort. Our suites all feature separate seating areas and a whole host of complimentary services to make your trip unforgettable.